When you think of a family vacation in Southern California, you probably think of Disneyland or Knott’s Berry Farm. 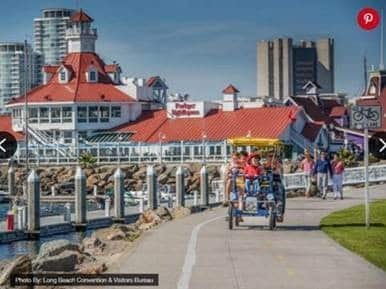 But right down the road, the town of Long Beach is bursting with fun activities from an amazing aquarium to the historic Queen Mary. For the fit fam looking to stay active while sightseeing, Shoreline Pedestrian Bike Path is a great way to sightsee while exercising. The 3.1-mile path starts at the lighthouse in Shoreline Aquatic Park and then hugs the ocean for much of the ride. Rent a bike from the city’s bike share program or a surrey for the whole family from Wheel Fun Rentals. You don’t need to book a flight to the U.K. for a slice of British history. Peek into the lives of the Royal Family right in Southern California. 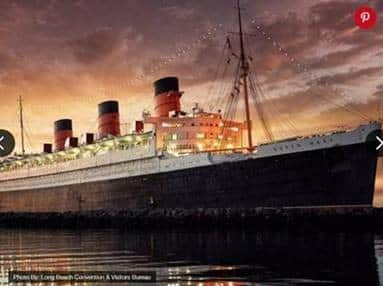 The historic Queen Mary, once a luxury ocean liner built for King George V is now docked in Long Beach and open for tours. Guests can step back in time and explore the 90-year-old Art Deco stunner, from the grand ballrooms to King Edward VIII’s suite. The best part? You can actually stay on the ship. The staterooms have been renovated and brought into the 21st century with modern conveniences while still retaining historic charm. 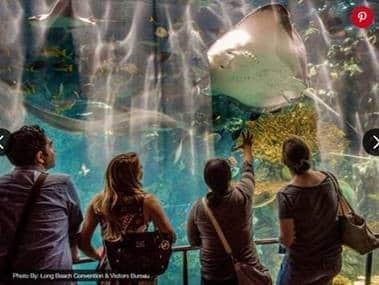 One of the most popular aquariums in the country, the Aquarium of the Pacific features more than 11,000 animals and more than 50 exhibits celebrating marine life in the Pacific Ocean. For something really special, book the aquarium’s behind the scenes tour to see what it takes to run an aquarium, from water filtration to raising baby sea urchins. You can even feed fish behind the scenes at the Tropical Reef exhibit. The tour is open to children seven and older as long as they are accompanied by an adult. 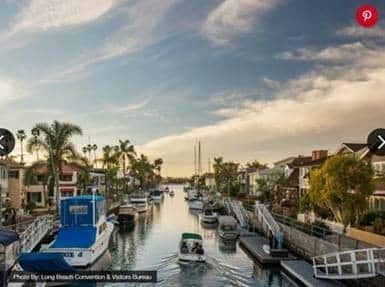 In addition to great beaches, Long Beach boasts picturesque Alamitos Bay and the Naples Canals. Spend a day at sea exploring these areas aboard a Duffy Boat with London Boat Rental. These small, electric boats can fit up to 12 people, are dog-friendly and come with an ice chest ready to chill beverages. Founded in 1996, the Museum of Latin American Art is the only museum in the U.S. dedicated to contemporary Latin American and Latinx art. The upcoming Grafica América exhibition will explore the art and history of printmaking and showcase Latin American and Latinx printmakers. 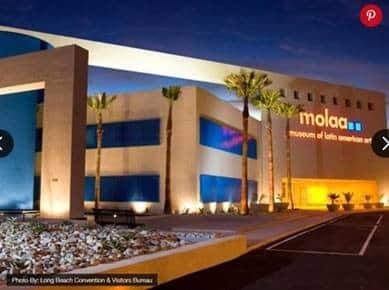 For travelers on a budget, the museum offers free admission on Sundays. Southern California has an abundance of marine life and unlike other whale-watching destinations, you can see marine mammals such as whales, orcas and sea lions year round off the California coast. 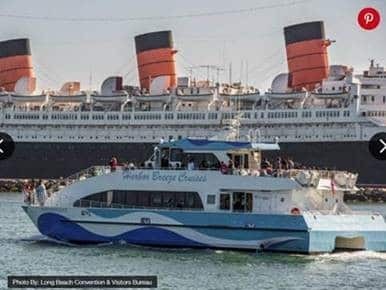 Hop aboard a sightseeing tour with Harbor Breeze Cruises for a chance to see blue whales, grey whales, humpback whales and more. 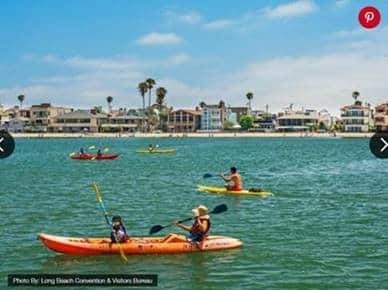 In addition to boating, Long Beach is packed with tons of fun water sports. For something different, try hydrobiking with Long Beach Water Bikes. Or, if you’re traveling with a big crew, you can book tandem kayaks with Kayaks on the Water. If you’re vacationing with bored teenagers, a walking tour of the city’s POW! WOW! murals is a great Instagrammable activity that will pique the interest of even the most too-cool-for-school teens. Part of the POW! WOW! 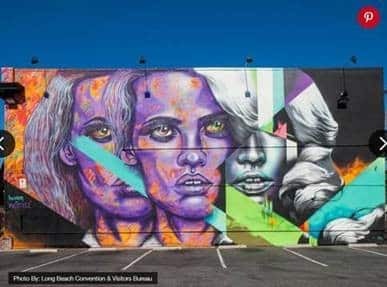 global street art festival, Long Beach features more than 40 square miles of colorful, vibrant murals. Since its launch, 75 murals have been painted on building walls, buses, garage doors and more. One of California’s Channel Islands, Catalina Island is only an hour away from Long Beach but it feels like you’ve stepped into a postcard from Greece or southern Italy. 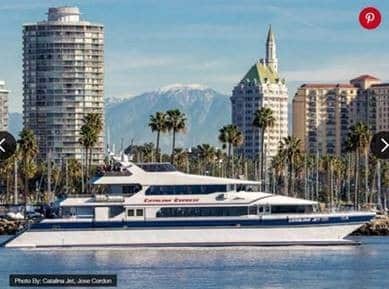 Take a day trip to the picturesque island with Catalina Express. The water taxi serves both the town of Avalon and Two Harbors.